This tour can be altered, but only in advance. Please ask what is possible as some attractions are an hour + ride, one way. This is for those who love to drive and admire seascapes, forest, the Ocean, light houses, sand dunes, unique eco systems, and farmland and small fishing villages and ports and short walks for photo opportunities 2nd to none. There are a few commercial stops but this is not a tour for those who want “tourist attractions” only. 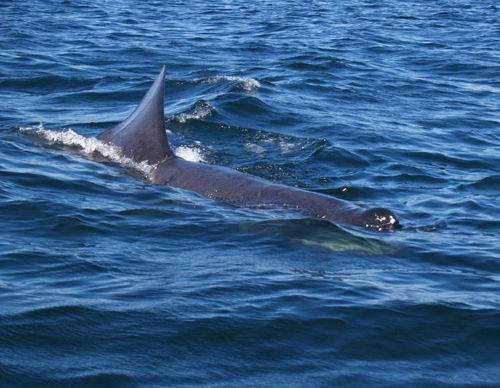 We offer those tours in abundance. 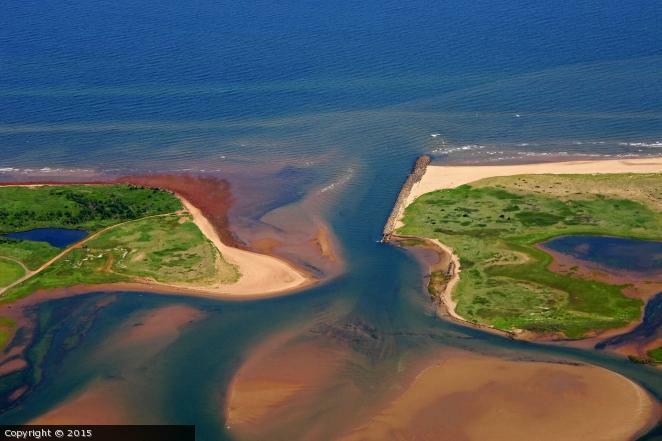 This tour, along the rugged Eastern portion of PEI’s North Shore, is a little further out and is for a freer spirit that wants the back route, free of clutter, cacophony and crowds. 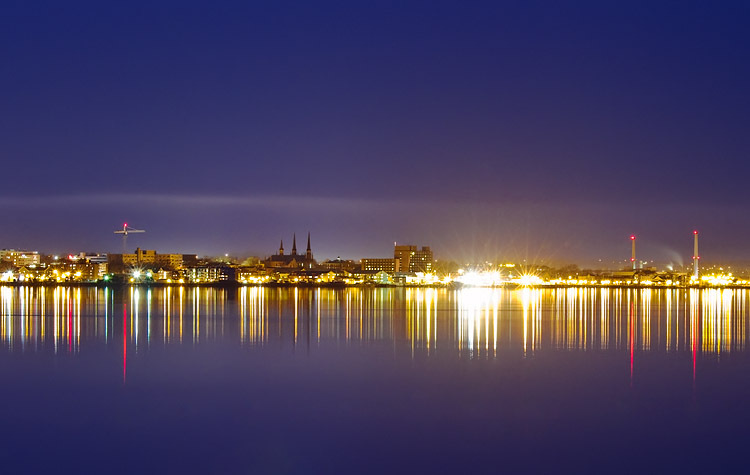 We depart Charlottetown’s Historic Seaport for a short drive across The Hillsborough River, a Canadian Heritage River, to enjoy Stratford’s vantage point of the capital’s city’s harbour and skyline. From there we pass Robert L. Cotton Memorial Park, and leave the suburbs behind. Ahead lies The Community of Mount Stewart. Mount Stewart was settled in 1790. The population in 2003 was 312. A short walk on a groomed trail/railroad bridge in Mount Stewart offers photo opportunities. 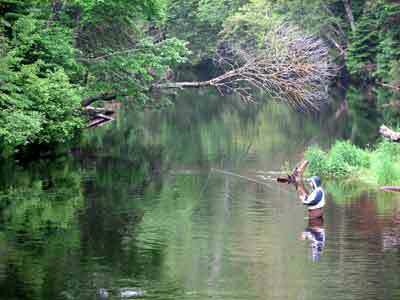 Mount Stewart is located at the head of the Hillsborough River. Next we go to Savage Harbor. 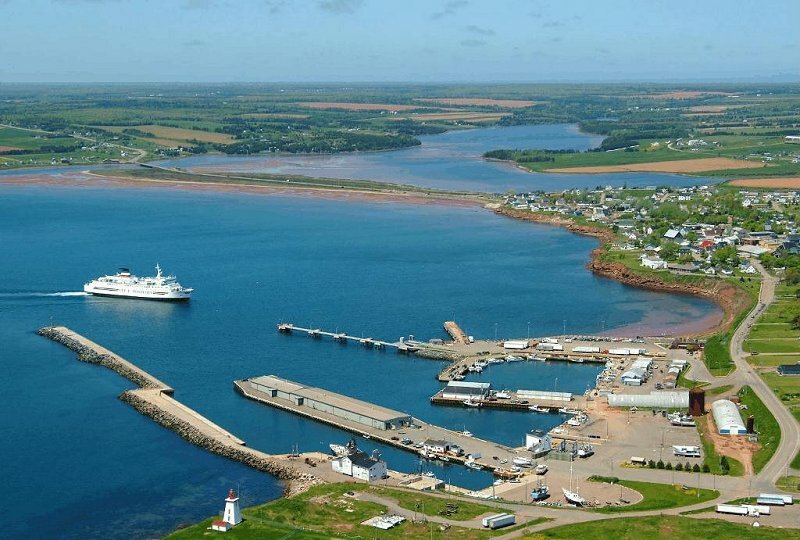 Savage Harbour takes its name from a battle that occurred among the Mic Mac Nation, long before the comings of the Europeans. Geological evidence points to a great battle having been fought in the area between two tribes of Mic Mac Indians. The ferocity and subsequent massacre are fortunately a memory. 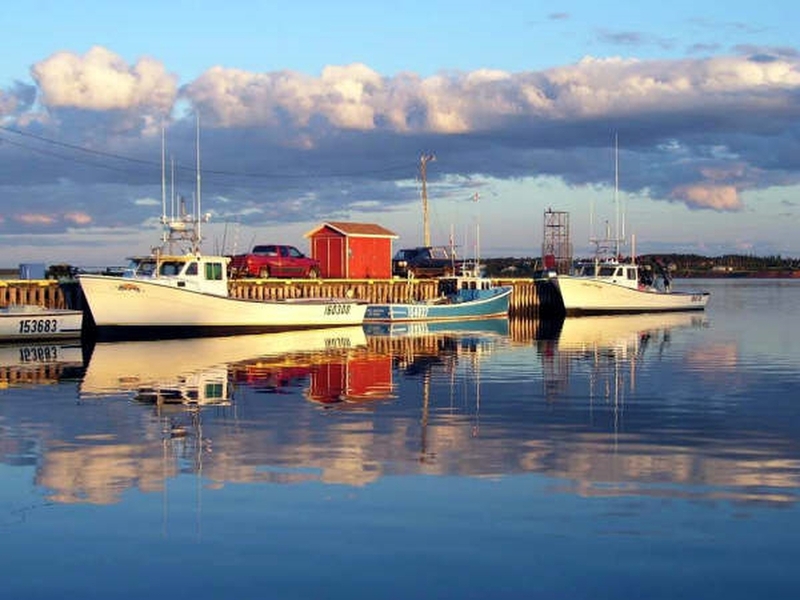 Savage Harbor now is a fishing village and quiet community that sees a little farming as well. There are some amazing photo opportunities here. We will visit a working, i.e. 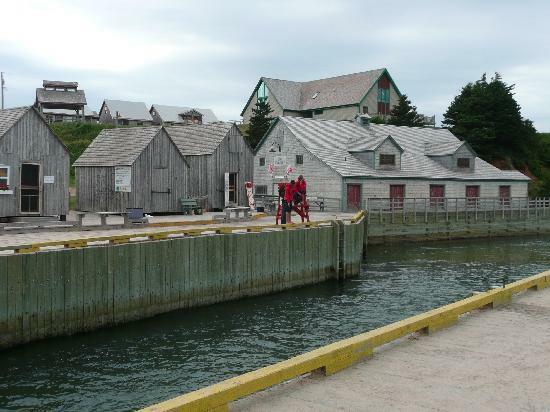 REAL, fishing wharf where you can see lobster traps and Oysters Farmed along with Blue Mussels. We could see a Tuna Landed if we are lucky. Perhaps, a visit with a local who raises and breeds Belgian Horses that are sold the world over, especially to Amish and Mennonites in Canada and the U.S.A. Before we leave, if we are in an SUV we can head down a clay lane for a beautiful shot of the inlet to Savage Harbor, white caps and sweeping dunes in the back ground. Returning to Route 2 we see A National Historical Monument to Angus Bernard MacEachern, First Bishop of Charlottetown, has been erected next to the Church and the Bishop is buried in an adjacent crypt, http://pointseastcoastaldrive.com/things-do/entry/st.-andrews-chapel1#sthash.y5n8bi56.dpuf. 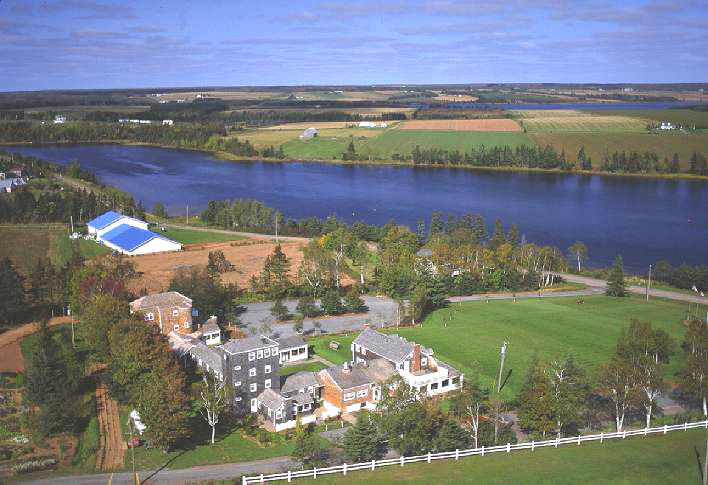 Into the great wide open again, we head East through bucolic farm land, through the village of Morell. 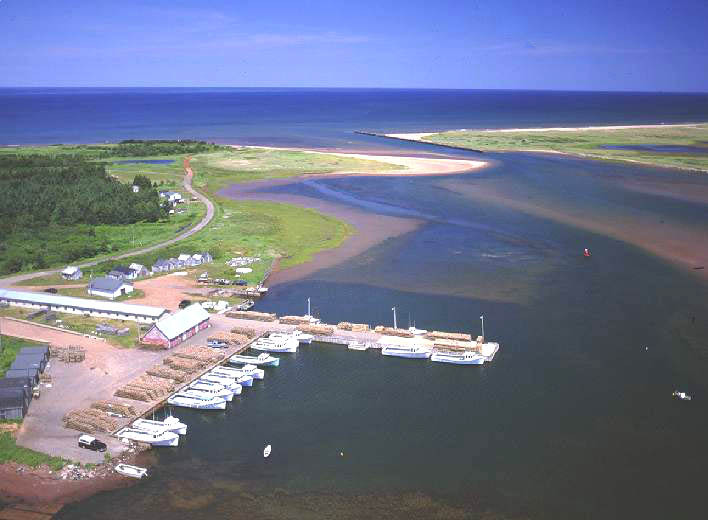 Another North Shore fishing village with the best salmon river on the island cutting right through it. Onwards to the village of St. Peters! 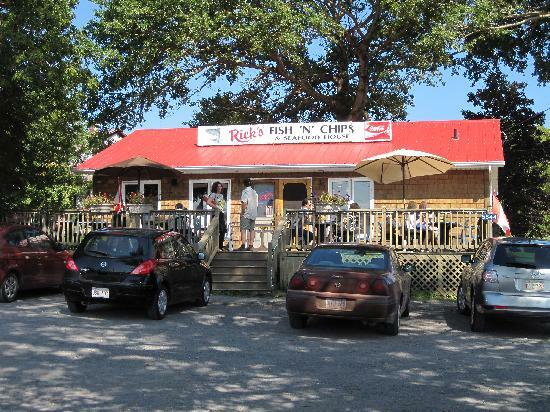 Home of the world famous Ricks Fish and Chips! If we time it right you could have your lunch here, on their deck overlooking the bay! From the ocean to your plate with a stop at the kitchen, this will be the best Fish & Chips you have ever had! Greenwich National Park, is just 5 minutes from St. Peters, so lets go see some sights. We can walk a short trail if you wish. This one is groomed and easy to do. 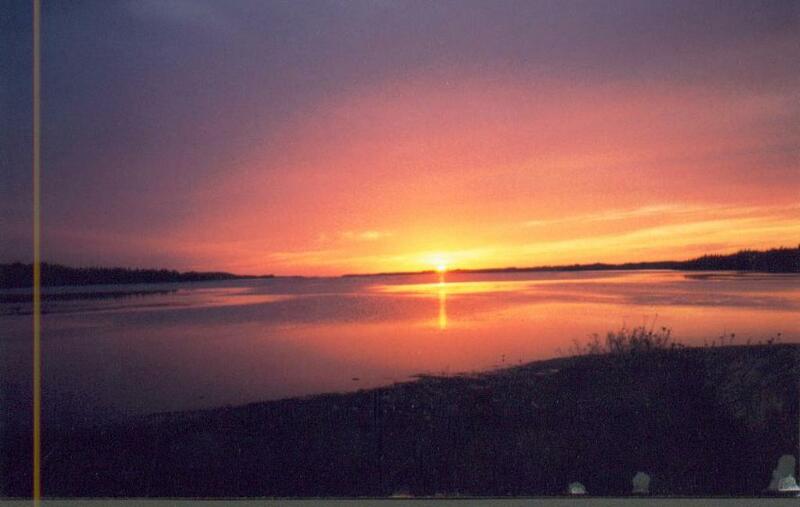 We can take the Northside Road through the last great stretch on the North Shore that is still rural and somewhat isolated. Even in the woods you can find a place to wet your whistle, The Prince Edward Distillery, The Prince Edward Distillery’s flagship product is vodka made from P.E.I. potatoes. Continuing East for a quick stop at Naufrage Harbour, for some photo-ops and a smell of the sea air. Then North Lake Harbor, the Tuna Capital of The World. Record weight 1604 lbs! 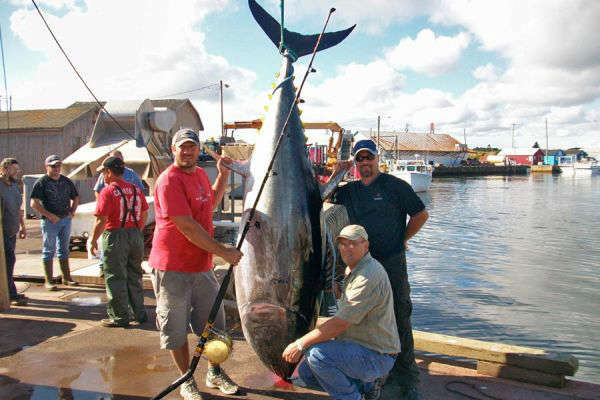 We could very well see a landed Giant Blue Fin Tuna here between August and Late September. Lets continue East as we are nearly at the end of the island. 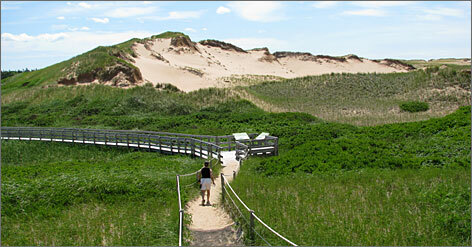 Our destination is East Point and specifically East Point Lighthouse. Built in 1867, was one of the busiest aids to navigation for the deep-sea traffic, inshore and off-shore fishery. The history of shipwrecks off the coast proves this area as being one of the most difficult to navigate, due to the three reefs and the “meeting of the tides” off East Point. 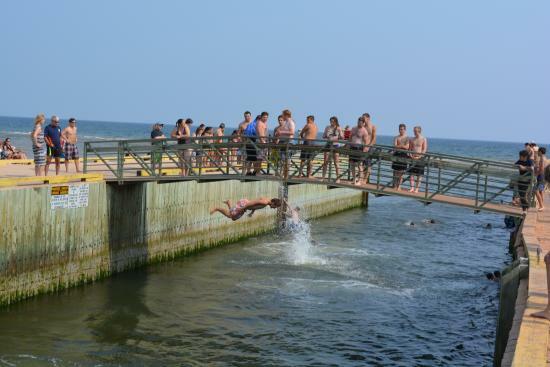 The Atlantic Ocean, Northumberland Strait, and the Gulf of St. Lawrence are the three tides that meet at this most easterly point. 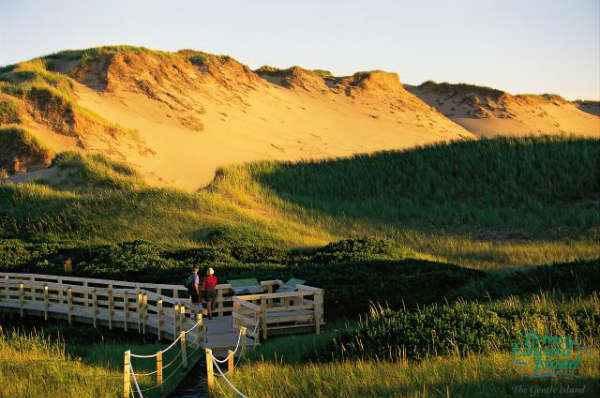 Our Provincial Parks are just as incredible, so a stop at, http://www.basinhead.com, Basin Head Provincial Park, Beach & Fisheries Museum, is in order. A quick shot of The Souris Lighthouse a beautiful light house. Here we go, we start off for a slow country drive through old Route 310. We pass the home of television’s cooking show “The Inn Chef”, former home of Broadway playwright Elmer Harris and actress Colleen Dewhurst, known as Inn at Bay Fortune, to saturate in lush rural landscapes dotted by villages, forest, marsh and seascapes. And Seaglass. From here, Pooles Corner its about 45 minutes to go directly back to town, making this North by Southeast A Tour A essentially over, save for the time to ride back. Depending on how we progressed and how long we stayed at attractions will determine the total time remaining, but you will be updated throughout your tour to keep it within your booked time. Extra time is usually available at the same hourly rate. Cape Bear Lighthouse & Marconi Museum Cape Bear Lighthouse & Marconi Museum. 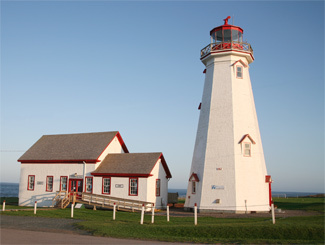 Built in 1881, this four-story square tapered wooden structure overlooks rugged sandstone cliffs and looks out to the beautiful Northumberland Strait. 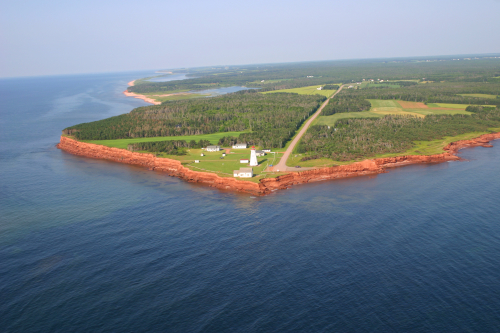 The museum features a replica of the Cape Bear Marconi Station, believed to be the first Canadian land station to receive and forward distress signals from the Titanic on that fateful night of April 14,1912. MacPhail Homestead Potato Farm tour is possible depending the time of the year and availability.